Fremantle Mayor Brad Pettitt said Victoria Quay represented a golden opportunity to create a spectacular waterfront attraction for WA. 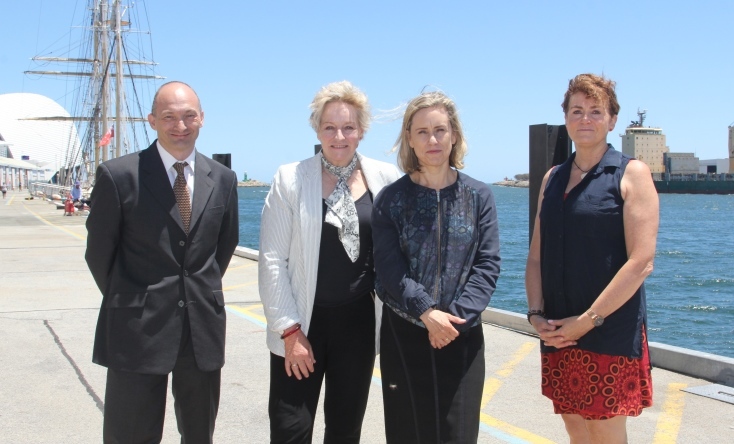 “The City of Fremantle has been pushing for the redevelopment of Victoria Quay for some years now, so we really appreciate the state government supporting this through the formation of the steering group to drive the project forward.” Mayor Pettitt said. “We think there are great opportunities to transform Victoria Quay into a world class waterfront precinct - with a mix of retail, hospitality and commercial businesses – and also create better connections between the port and places like Kings Square, the Cappuccino Strip, the West End and Bathers Beach. “The building blocks for a terrific precinct are already there with the Maritime Museum, the E-shed and other heritage sheds, the Passenger Terminal and the Rottnest ferry terminal, along with easy public transport access with the railway station. Read the state government media statement about the steering group’s first meeting.